I did some additional fiddling with the information I pulled out of Gingerich’s An Annotated Census of Copernicus’s De Revolutionibus . The way I now translate the city location into a country location gives more dependable results. I then separated out the movement of the first and second editions into distinct chord diagrams. I also generated a new diagram for both editions (an updated version of the previous diagram). 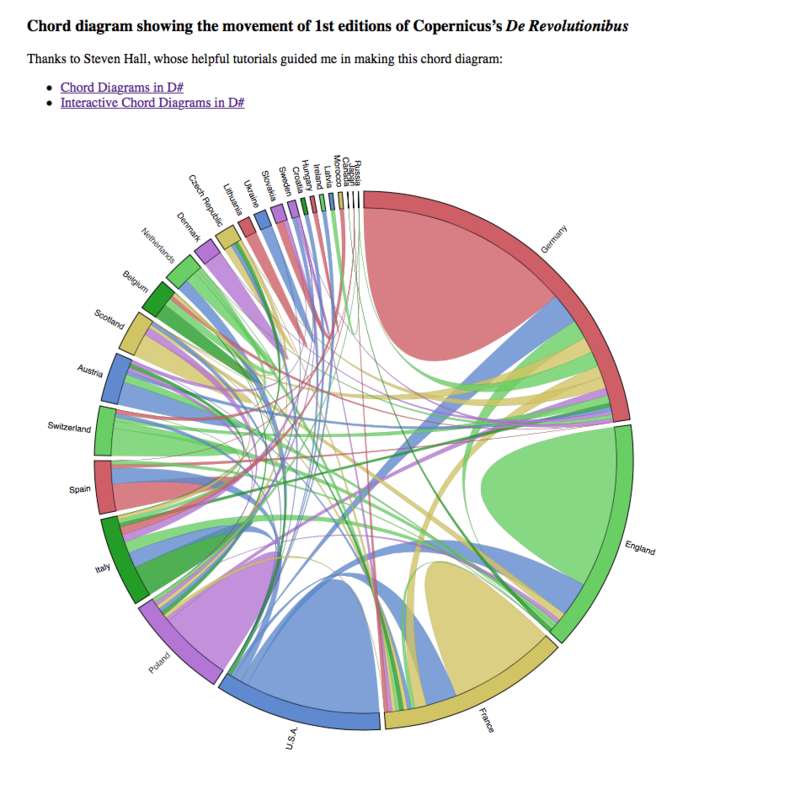 Chord diagram showing how first editions of De Rev moved. As before, these chord diagrams are interactive: you can mouseover (or touch, if you are using a touch device) and get information about each country and each pathway between countries.